Over-pronation (flat feet) is the leading cause of plantar fasciitis. 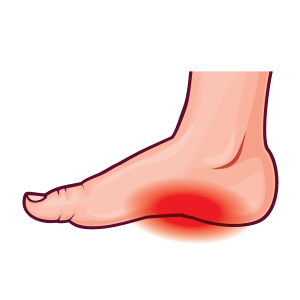 Over-pronation occurs in the walking process, when a person’s arch collapses upon weight bearing, causing the plantar fascia to be stretched away from the heel bone. The key for the proper treatment of plantar fasciitis is determining what is causing the excessive stretching of the plantar fascia. When the cause is over-pronation (flat feet), an orthotic with rearfoot posting and longitudinal arch support is an effective device to reduce the over-pronation and allow the condition to heel.